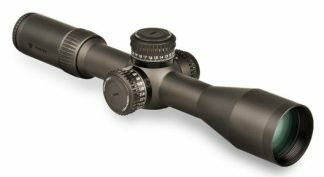 Vortex Razor HD GEN II | Vortex Razor HD GEN II Rifle Scope - SALE! VORTEX RAZOR HD GEN II Always in Stock at the Best Price! VORTEX RAZOR HD GEN II Rifle Scopes on SALE! RAZOR HD GEN II 4.5-27X56 EBR-2C (MOA), RAZOR HD GEN II 4.5-27X56 EBR-2C (MRAD), RAZOR HD GEN II 4.5-27X56 EBR-1C (MRAD), RAZOR HD GEN II 3-18×50 EBR-2C (MOA), RAZOR HD GEN II 3-18×50 EBR-2C (MRAD), RAZOR HD GEN II 1-6×24. All Components of the VORTEX RAZOR HD GEN II Rifle Scope, include all of performance features that you would expect from Vortex Optics Flagship Rifle Scope. The RAZOR HD GEN II is the next level of Vortex HD Rifle-scopes, its well thought-out design is so perfect it is almost scary! 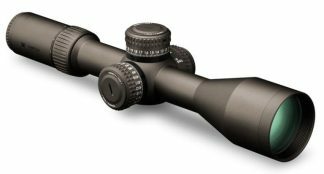 Vortex engineers have Designed this Long Range Rifle Scope for dialing in those long range shots, with precise accuracy and reliability under the most extreme environmental conditions. The VORTEX RAZOR HD GEN II Rifle-scope is available in Two long Range Options, RAZOR HD GEN II 4.5-27x56mm and 3-18x50mm riflescopes. Precision shooters finally have a top-tier rifle scope that’s built like a tank, they are extremely excited about, that its hard to contain the enthusiasm. Last but definitely not least, the RAZOR HD GEN II 1-6x24mm designed for the AR-15/AR-10 Rifle Platform, it is the perfect optic for those short to mid-range shots for tactical applications. 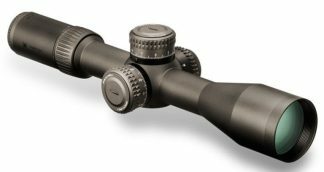 Shop Vortex Optics Riflescopes Online.